Astronaut Scholars are exceptionally intelligent, rank at the top of their class, are remarkably driven, focused and resourceful in many different concentrations, and especially in their fields of expertise. ASF uses its national network of supporters and partners and engages with leaders to provide coaching, business skills, leadership development training, and professional insights based on real world experiences to help prepare tomorrow’s STEM leaders. The Professional Development Program seeks to expose scholars to topics and experiences that will give them the tools they need to become strong, leading professionals, in their field and while also helping them to develop personally. "I really liked the talk about common mistakes that smart people make! I was scared that it was going to be another career advice talk but it was funny and real and actually very helpful." For more information about the Professional Development Program, contact us at +1 407-362-7900 or info@astronautscholarship.org. 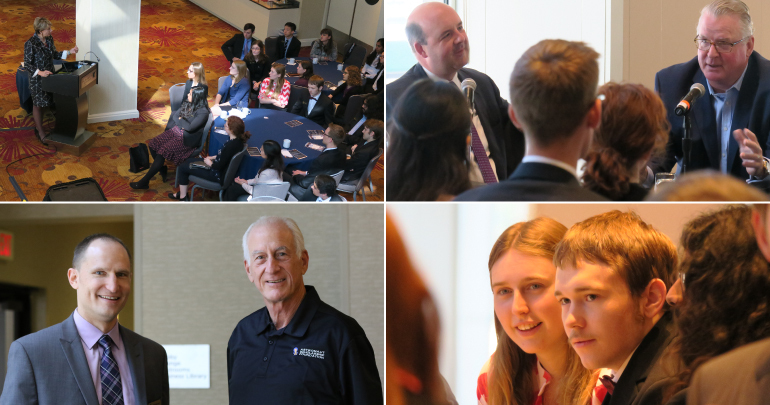 RBC Capital Markets, the RBC Foundation and the RFutures Group assists ASF Scholars with the opportunity to participate in learning and networking opportunities with CEO’s, industry leaders, innovators, investors, entrepreneurs, and astronauts from around the country.